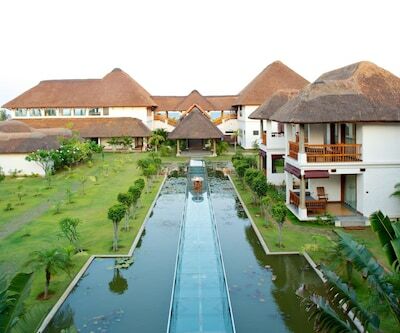 A luxe and premium resort, Le Pondi Beach and Lake Resort reverberates with both royalty and revelry. Located beautifully between Chunnambar River and the Bay of Bengal, in Pondicherry, the resort is spread across 7 hectares of gardens. The facilities at this luxurious beach resort include a world-class swimming pool with multiple sections, a gym, a spa, an Ayurvedic centre, large poolside party area, private beach, a game room, library, lounge and a playground. A large conference and banqueting hall (350 Pax) and boardroom are available for business/event purposes. Other facilities include foreign exchange, travel desk, yoga and reiki, kid s play station, internet, transport and beach activities. The resort has 70 luxurious rooms including 8 presidential pool villas, 12 sea facing rooms, 8 luxury pool villas and 42 lake facing rooms. Extremely comfortable rooms with excellent lake views and sea views await you at Le Pondy Beach and Lake Resort. Other amenities include a minibar, well-furnished bathroom with shower and hairdryer, amenity kits, safe locker, doctor on call and TV. 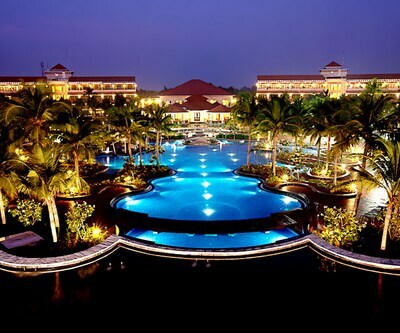 The elegant and luxurious resort offers excellent dining facilities. Guests can enjoy at its open multi-cuisine restaurant serving delicious culinary delights or have a meal at its fine-dine restaurant with attractive d?cor and stylish interiors. It also offers a range of drinks and relaxing lounges at its poolside bar and its bar overlooking the sea. Tourist destinations nearby include Sacred Heart Church (11.5 km), Rock Beach (12 km), Immaculate Conception Cathedral (12 km), Pondicherry Museum (12 km), Sri Aurobindo Ashram (12.5 km) and Auroville (22 km). Pondicherry Bus Main Station and Puducherry Railway Station are at 11 km and Pondicherry Airport is 15 km from the resort. 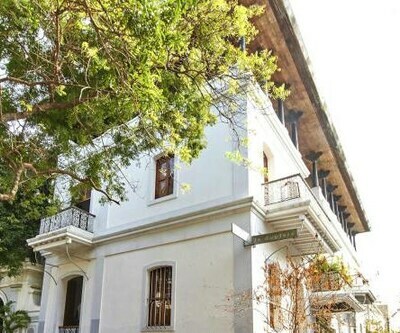 Pondicherry city centre is approximately 9 km from the resort. 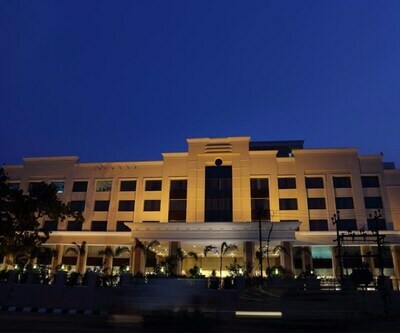 Book Le Pondy Beach and Lake Resort now and revel in the best!